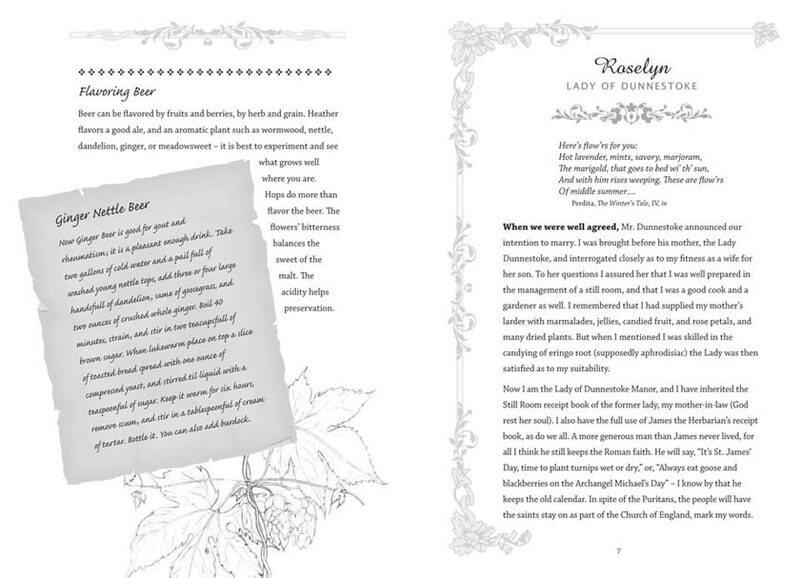 The Still Room Book tells the stories of three generations of people in the 1600s whose lives center around Dunnestoke Manor – its fields, gardens, and in particular, its still room. 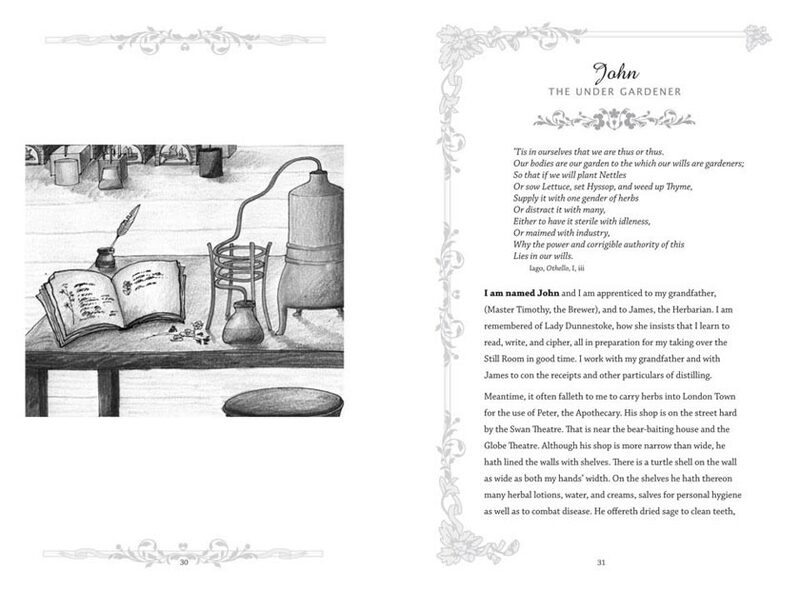 The Still Room Book includes recipes of distilled herbal remedies and brews as interesting as the characters. 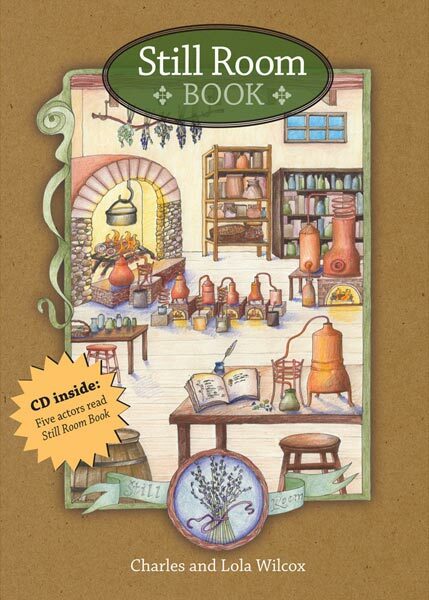 Drawings of the still room, flowers and herbs decorate the pages. 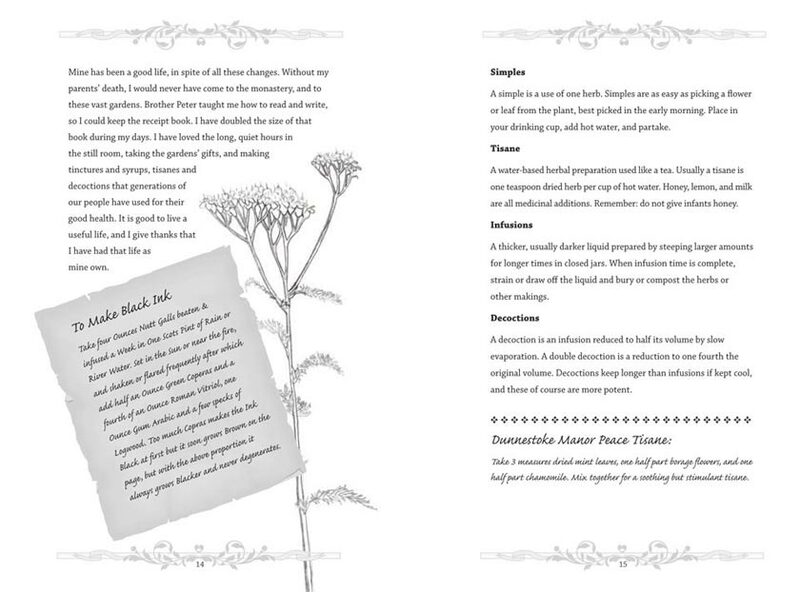 A CD of the actors reading Still Room Book is included.